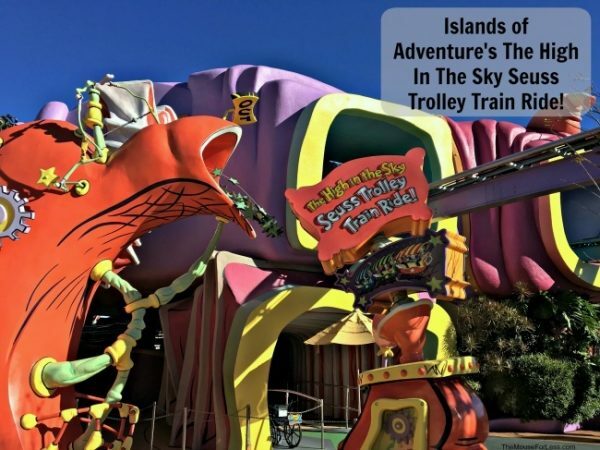 Home Universal Orlando Resort Universal’s Islands of Adventure The High in the Sky Seuss Trolley Train Ride! The High in the Sky Seuss Trolley Train Ride! is the best ride for the family. With its easy, slow-moving nature kids of all ages will be comfortable as well as amazed by the sights of Seuss Landing from above. Riders will take one of two paths and even get to ride over the top of the Circus McGurkus Café Stoo-pendus while other visitors grab a bite to eat and wave hello. Height Requirements: 36″(cm) Minimum – Riders between 36″ and 48″(121.9cm) must ride with a supervising companion. Wheelchair Restrictions: Guests will need to transfer from both ECV and manual wheelchairs in order to ride The High in the Sky Seuss Trolley Train Ride! When the tracks for this ride were laid down they were originally for a ride to be named Sylvester’s McMonkey McBean Unusual Driving Machines. This ride was supposed to be debuted with the rest of Seuss Landing in May 1999. When you ride The High in the Sky Seuss Trolley Train Ride! you will see creatures all over Seuss Landing you may not have seen while walking on the ground. Included are characters from all 45 of Dr. Seuss’ children’s books. How many can you name? Even though there is not a photo opportunity on the ride itself, there is an opportunity in the “queue” or waiting area. The High in the Sky Seuss Trolley Train Ride! attraction is a great time for everyone, however its mainly geared towards younger kids as its shorter, slower, and based on Dr. Seuss’ children’s books. If you are wanting to check it out, try to get in line shortly after the park opens or towards the end of the day when most of the families have not arrived or already left. Although this ride does not accommodate a wheel chair (manual or ECV) some of the ride vehicles are designed to assist people with mobile disabilities to make boarding the ride easier. 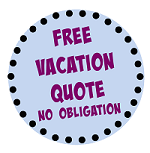 For further assistance you can locate an Attractions Attendant. 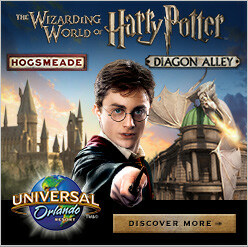 For more on disability assistance at Universal Orlando Resort click here. The Circus McGurkus Café Stoo-pendus is the closest dine-in restaurant to The High in the Sky Seuss Trolley Train Ride! But if you’re looking for something different but just about as close try Mythos Restaurant in The Lost Continent in Islands of Adventure.